Um, WTF? What is that??? The Gay Comic Geek did a really fun video review of The Young Protectors. It’s less than 5 minutes long and you should totally check it out. So! Fluke has thrown a Spooky Bottle at The Annihilator — and he missed! 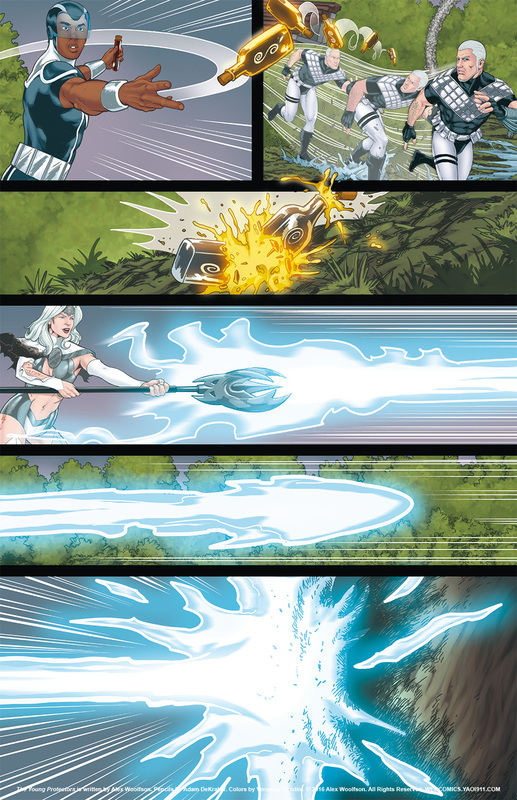 But it looks like The Platinum Priestess sure hit something. But what exactly?